It seems the film Minority Report and the technology used in it is appearing in our everyday lives more and more. From the interactive screens used by Tom Cruise and now the eyeball scanning technology he needed to invade. 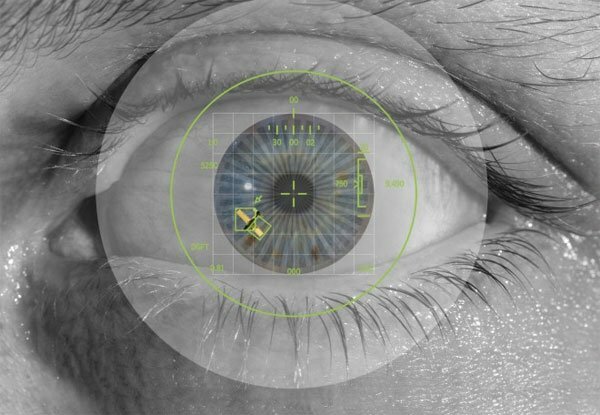 Using Pentagon funds researchers have developed mini cameras that can now identify threats by tracking and scanning eyeballs. The cameras have been created by a team of electrical engineers at Southern Methodist University (SMU), led by Professor Marc Christensen with funding from Darpa. 12 months after the discovery the Pentagon is now providing SMU with another $1.6 million of funding. Which will allow them to merge the cameras with active illumination and handheld Pico projection devices. The camera have no problems scanning through eyelashes or in dim lighting and even if the target is unwilling to stop and stare directly into the camera. The cameras will still be able to target into the iris, no matter what angle or movement. Being able to scan through a long line of people without them at even knowing.